Agency Power Exhaust Tips PORSCHE - Pann Auto Performance - San Diego largest aftermarket automotive performance parts - What do you drive? 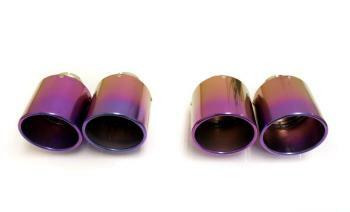 Agency Power exhaust tips are designed to give your exhaust system a fashionable look over the stock exhaust tip. Tips are available in stainless steel, polished, chrome, and titanium for several different vehicles.